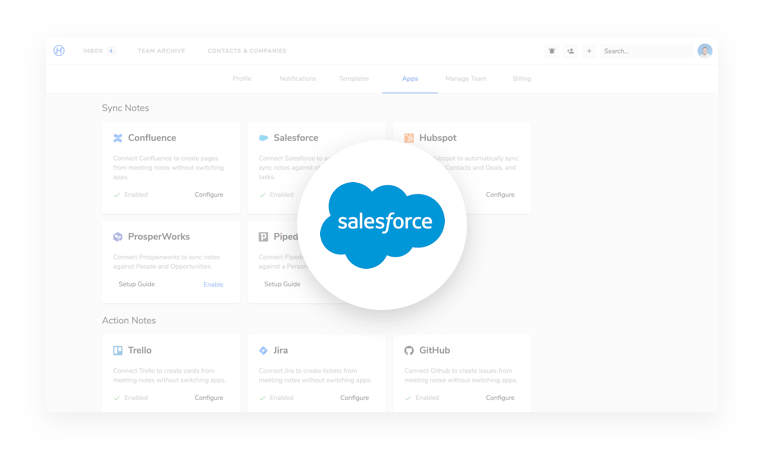 This integration enables the team to sync Hugo notes to Salesforce objects and create tasks in Salesforce from your meeting notes. Scroll down to Salesforce and click 'Enable Salesforce'. Click 'Authorize' when Salesforce asks you to give Hugo permissions. When returned to Hugo, non-Lighting customers must check the box "Use the Notes & Attachments field".